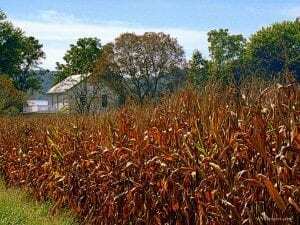 Corn, a chief ingredient in W.Va. whiskey. Distilleries in West Virginia produce some of the best whiskeys in the eastern U.S. The state has long been known for its exceptional spirits — famously its rye, produced early in the Monongahela Valley, the taxation of which led to the Whiskey Rebellion of the 1790s. Distillers in West Virginia and neighboring mountain states were infamous for their often violent defense of the production of whiskey during Prohibition, from 1920 to 1933, and to their resistance to taxation and the state and local prohibition of alcohol at all times. “Bootleggers” were continually at odds with “revenuers” and law-enforcement officials. Even today, homemade whiskey, or “moonshine,” is distilled illegally in some parts of West Virginia, though most whiskey is now produced in legal distilleries that provide tours and tastings.